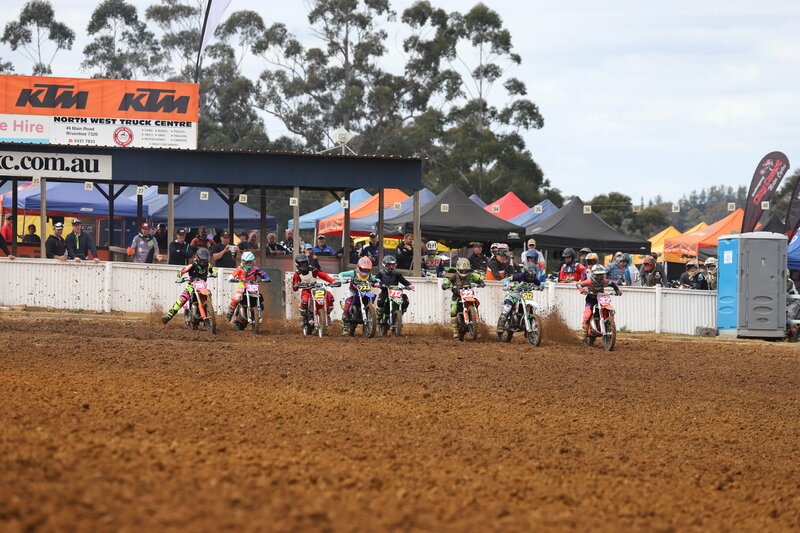 Day Five of the KTM Australian Junior Motocross Championship (AJMX) at Penguin Tasmania, saw all heat racing conclude and finals action well on display. The Championship is reaching the real business end of the week and it will be fascinating to see who comes out on top! Jett Burgess-Stevens of Tasmania topped heat five of the Mini Lites BW 12-U14 Years category, solidifying himself as a serious contender. Rory Fairbrother (NSW) slotted into second followed by Jackson Camilleri (QLD) and Ty Kean (VIC), female rider Charli Cannon (QLD) performed a great ride to storm to fifth position. Ryder Kingsford (NSW) won the race in heat six, dominating the race with a ten second margin in hand. The real battle unfolded behind him between rivals Brock Sleader (QLD) and Hunter Collins (NSW), who were only separated by two seconds. Cobie Bourke (NZ) and Liam Atkinson (WA) closed out the top five. It was a Hunter Collins (NSW) show in Final 1, dominating the race to add a victory to his tally. The excitement was once again all about who got second place between Rory Fairbrother (NSW) and Ryder Kingsford (NSW), who fought to the very last lap. Ryan Alexanderson (QLD) and Jett Burgess-Stevens (TAS) closed out the top five. Final two of the 65cc 11-U12 Years class was captured by Victorian Jobe Dunne, who led the charge to the flag that brought him a 3.745 second victory. Phoenix Blanchette (NSW) kept Jai Hay (SA) at bay for second, as did Cooper Ford (TAS) with Jay Jennings (TAS) to hold down fourth. The third final was a much easier win for Cooper Downing (QLD) who cruised to a 23 second gap for victory. The battle for second was far more interesting with just over a second covering second to fifth. Jack Burton (NSW) managed to take that highly sought after second place, followed by Marcus Nowland (NSW), Cooper Ford (QLD) and Ryder Creeke (NSW). Queensland’s Charli Cannon continues to cement herself as the title favorite after adding another commanding win to her name in the Female Junior Lites class, smashing the competition with a 45 second lead. Taylor Thompson (NSW) closed out the race in second. Taylah McCutcheon (QLD) and Tanesha Harnett (NSW) were awarded third and fourth positions, with Holli Geeves (TAS) pulling through for fifth. In the final race of the day Cannon take another incredible victory, this time she was followed by McCutcheon in second, albeit this time it was only a 13.855 second win. Harnett also managed a third-place finish. Final two of the 65cc 11-U12 Years class was captured by Jake Cannon (QLD), who led a charge to the flag that brought him a 2.459 second victory. Jet Aslop (QLD) kept Angus Pearce (TAS) at bay for second, as Seth Burchell (NSW) with Callum Penney (TAS) to hold down fourth. The race in the 125cc 15-year-old class was all about the battle between Tye Jones (QLD) and Regan Duffy (WA) throughout the seven laps. Jones to the victory with Duffy having to settle for second. Noah Ferguson (QLD) came out with third place followed by Korey McMahon (NSW) and Corben Weinert (WA) in the top five. Alex Larwood (SA) and Levi Rogers (QLD) put on an incredible display, as the pair were inseperable. Larwood took a mere one second margin win, as Rogers took second, with Rick Chalmers (NSW) in third. Benny Novak (NSW) was fourth followed by an impressive ride from Kipp Adams (VIC) in fifth. Final two of the 65cc 9-U11 Years division saw Western Australia’s Kayden Minear storm into the lead, riding home to clinch a 4.660 second victory ahead of Ky Woods (NSW) and Seth Shackleton (WA). Koby Hantis (NSW) settled into fourth, while Jett Williams (QLD) concluded the top five in fifth. In the Female Mini Lites 12-U16 Years category, Taylah McCutcheon (QLD) raced to another impressive win with a 4.827 second advantage. Queensland’s Charli Cannon wound up second ahead of Taylor Thompson (NSW), while it was Jessica Robertson (VIC) and Brydie Hingston (TAS) who fulfilled positions four and five. Western Australian, Regan Duffy continued his dominance in the Junior Lites 15 Years class, stamping his authority with a 22 second race win over Queenslander, Noah Ferguson in the second final. Ferguson sat comfortably in second for the duration, as did Korey McMahon (NSW) in third. Dante Hyam (NSW) and Corben Weinert (WA) completed the outing in fourth and fifth respectively. 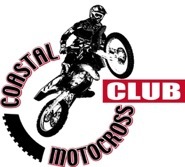 The third final saw young prodigy Levi Rogers (QLD) charge to an 11 second victory, displaying exceptional form at the Coastal Motocross Club. Ricky Chalmers (NSW) negotiated his way to second ahead of Alex Larwood (SA). Blake Hollis of New South Wales and Victoria’s Dominic Walker were credited fourth and fifth respectively. Western Australia’s Kayden Minear continued to impress in the first final, albeit by only 2.850 seconds to capture the race win. Jet Alsop (QLD) positioned himself in a comfortable second, while Seth Burchell (NSW) held on for a distant third. Jake Cannon (QLD) crossed the line in fourth followed by Seth Shackleton (WA) in fifth. In the third final of the 50cc Division 2 7-U9 Years class, Phoenix Blanchette (NSW) laid down a flawless moto to win by a 6.390 second margin, as it was Ryder Creeke (NSW) and Brodie Court (QLD) who duked it out for second and third respectively. Cooper Downing (QLD) placed fourth ahead of Aden Oakland (QLD). Final 3 of the 65cc 9-U11 Years division saw New South Welshman, Reid Taylor storm into the lead, riding home to clinch a five-second victory over Joe O’Donnell (NSW) and Benny Novak (NSW). Max Barrass (QLD) settled into fourth, while Taylah McCutcheon (QLD) concluded the top five in fifth. It was a Hunter Collins (NSW) show in Final 1, dominating the race to add a victory to his tally. The real battle unfolded behind him between rivals Rory Fairbrother (NSW) and Ryder Kingsford (NSW), who fought to the very last lap. Ryan Alexanderson (QLD) and Jett Burgess-Stevens (TAS) closed out the top five. To keep up to date with all the information during the event head to www.ma.org.au, like Motorcycling Australia on Facebook or follow @motorcyclingaustralia on Instagram.